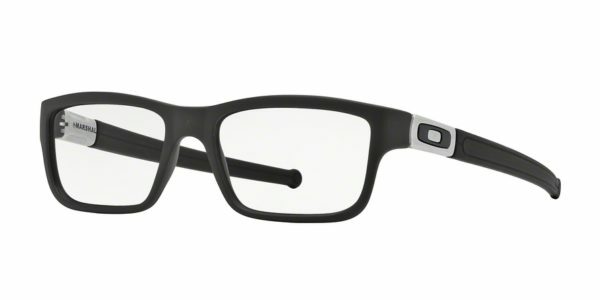 Oakley Marshal eyeglasses are a durable, stylish frame that has sporty influences while still being appropriate for every day. 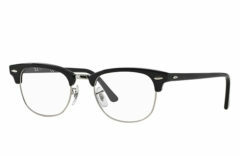 For Men Full Rim frame made from O Matter® – a patented lightweight and durable synthetic from the Oakley labs that is impact and stress resistant. 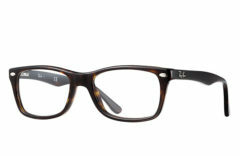 Guaranteed to stay comfortable all day Rectangular lenses will suit most face shapes. Oakley O displayed prominently on temples, which extend straight back over the ear Available in a range of color combinations to express your individuality Spring hinges hold their initial balance and adjustment, making your glasses more durable and comfortable. Progressive friendly Three-point® fit system ensures the frame only makes contact at the bridge of the nose and behind the temples. Come in an Oakley protective carrying case with cleaning cloth. 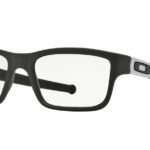 Due to manufacturer’s restrictions, Oakley products can only be shipped to U.S. and Caribbean addresses. APO/FPO shipping is available.